Cool sweatshirts aren’t a new or revolutionary wardrobe staple by any means. But if you’re only assuming they’re the kind of piece you wear to the gym, to run errands, to the airport, or on days when you just can’t, perhaps you’re missing out. If leggings and sneakers are the athleisure trends that are most popular in everyone’s everyday wardrobes, close behind are unique graphic sweatshirts that read less like a lazy-day essential and more like a fashion statement. And, naturally, each one has something different say. 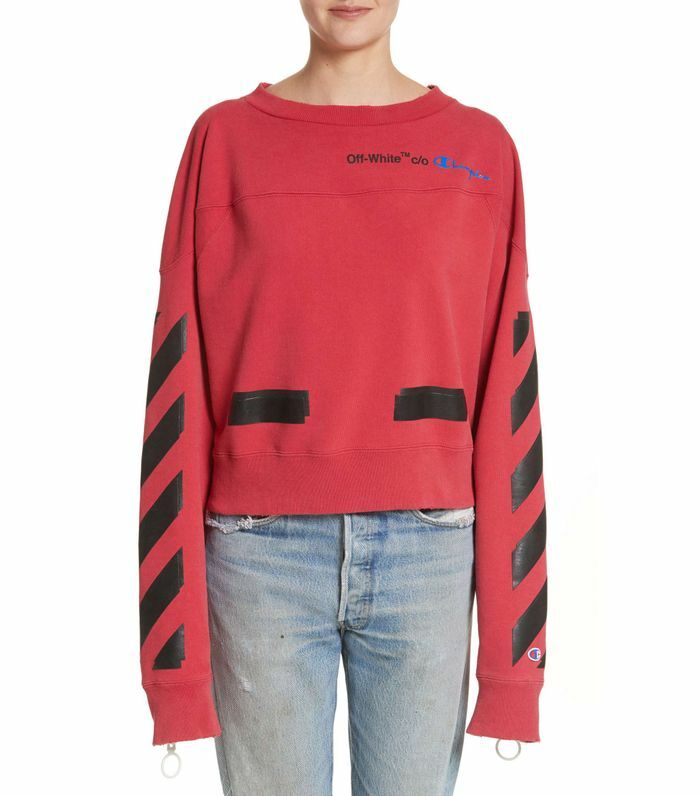 Maybe it’s an oversize version from the coolest young brands like Off-White and Vetements. Maybe it has elegant, blouse-like tailoring, such as styles from Tibi and the Who What Wear collection. Or maybe it features pictures of cats lounging in a teacup—we see you, Gucci. Either way, it's time to meet your new laid-back hero pieces. Click in for 20 sweatshirts for a range of style statements. Available in sizes XL to XL.